You can rely on the continuous and high-quality overall system of cabling solutions from the Lapp Group to prevent failures, downtime and quality-related issues. A comprehensive range of standard and customised solutions are available here. 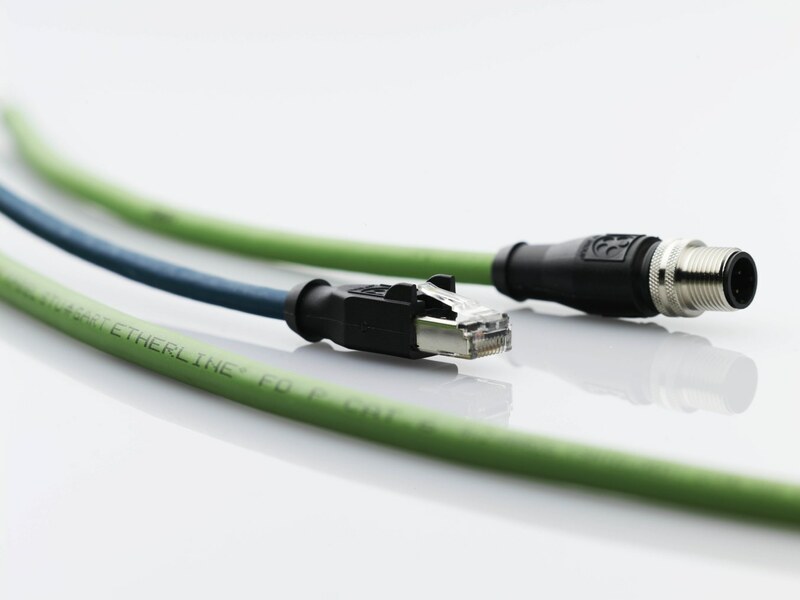 Our wide range of PROFINET® cables for all uses are subject to precision testing at our test centre and laboratory. The Lapp range features true all-rounders for particularly demanding requirements relating to a diverse application range, flexibility (as required in applications featuring highly dynamic flexing with permanent bending and torsion), chemical and mechanical resistance, and approvals. From 4-core or 8-core PROFINET® cables from the ETHERLINE® brand to fibre optic cables featuring POF or PCF designs from our HITRONIC® range, the Lapp Group has the right cabling solution for your PROFINET® application. Connectors that are easy to connect play a particularly important role in Industrial Ethernet, whether it is the RJ45 that is familiar from office use or the M12 that is standard in the industrial environment. The EPIC® Data connector range is easy to connect to the matching cable – without the use of special tools. This not only saves time during assembly, this helps you, our customer, save money. Overmoulded ETHERLINE® assemblies are also available in the range. These factory-tested products provide proven cable quality together with high-quality connectors. They feature guaranteed impermeability and guaranteed transmission characteristics. This helps you avoid spending time on assembly and prevents differences in connection quality, and even enables you to attain a higher protection class than can be achieved using field mountable connectors. Copper data network cables for transmission in PROFINET® applications. The right cable for almost every application area. All current types are available with UL certification. Special cables for highly flexible applications such as use in drag chains or for torsion applications. For data transmission rates from 100 Mbit/s up to 10 Gbit/s with Cat.7 cables. Cables are designed for harsh industrial use. Proven cable quality combined with high-quality connectors. 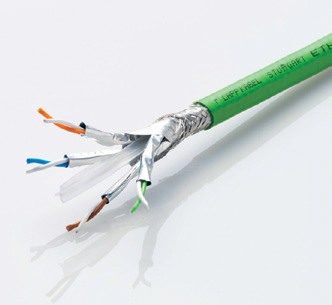 Highly flexible cables for transmission category Cat.6A with overmoulded X-coded M12 connectors, suitable for drag chains or torsion applications. Configurable connectors for field assembly – fast and without the use of special tools. Straight or angled RJ45 connectors with colour-coded wire manager for easy connection to 2-pair or 4-pair cables. Fibre optic cables for optical signal transmission in PROFINET® applications. POF, PCF and GOF as fibre optic cable fibre type. Cable designs for fixed installation (type B) or highly flexible use (type C). Sheath designs in PVC for standard applications and in PUR for applications with high mechanical load or chemical stress in the industrial environment. Range of connector and assembly sets tailored to the cable designs. Connector types LC, SC-RJ and ST(BFOC). You can find our complete product range of ETHERLINE® copper cables and additional information and data sheets here. For an overview of all overmoulded M12 D- and X-coded assemblies and field mountable connectors, please click here to find more information or data sheets. You can find the suitable connectors for your PROFINET® application here. 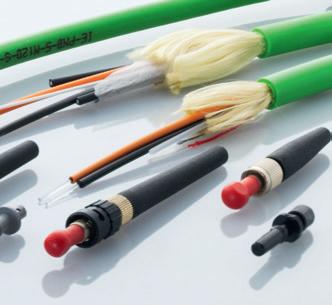 All relevant information, data sheets and technical drawings for you PROFINET® application with fibre optical cables please follow our HITRONIC® product range.